Several hazards and risk follow new teen drivers just staring off on the road. Accident rates for teen drivers is steadily increasing as the years progress. Teen drivers not only face challenges when preparing for their license but also when they possess the license. Car crashes are the number one leading source of teenage death, and new drivers are more likely to get into an accident following their first six months with a license. Most teen drivers fall vvictim to “being distracted by something inside or outside of the vehicle” (Basic Facts). Another statistic shows that teenagers have a risk four times higher than more experienced drivers when it comes to getting into a car accident. There are endless distractions for teen drivers including cell phones and other passengers, increasing the risks. Consequently, teen drivers are charged with a greater responsibility of paying attention to their surroundings and being cautious. 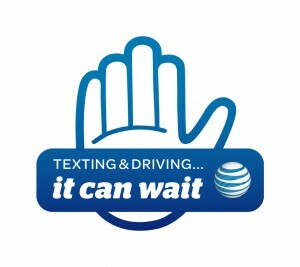 Today, major companies like AT&T, are taking strides to raise awareness about the dangers of texting and driving. far right), admits to sending her sister a text causing her to lose her life on the road. She now has to “live with the guilt” of losing her sister, says the speaker. His lecture became more personal when he spoke about how he lost his son to texting behind the wheel. He says, “my sons was my right hand man, my life.” Now his son’s face is tattooed down his right arm as a memoir of his life. Driving while texting is just as dangerous as being intoxicated behind the wheel. With so many lives on the road everyday, driving is one of the most dangerous activities to participate in, but if drivers take the time to put their phones down while in the car, more lives can be saved. For teen drivers the process for getting a permit is fairly complicated and strict. Georgia teens are eligible for their driver’s permit, class CP, at the age of 15. In order to earn a class CP license, teens are required to study and take an electronic exam. The exam consists of two parts. The first part of the exam deals with the rules of the road. The second part focuses on road signs. Teens must pass the exam with a 75% or higher to receive their permit. If they pass the test, they then have to prepare for the class D license. In preparation for class D license new drivers are required to take 30 hours of a drivers education course as well as 40 hours of driving with at least 6 of those hours during night. All these rules are in accordance to Joshua’s Law. This law was put into effect on January 1, 2007 after teenager Joshua Brown passed away in 2003 as a result of a car accident . The law made the requirements for achieving a class D license more complex for Georgia teens.